The recently patched Drupal vulnerability tracked as CVE-2018-7600 and dubbed Drupalgeddon2 has been exploited in the wild to deliver backdoors, cryptocurrency miners and other types of malware. While much of the online activity targeting CVE-2018-7600 still appears to represent scanning (i.e. attempts to find vulnerable systems), attackers have also started exploiting the flaw to install malware. The SANS Internet Storm Center has spotted attempts to deliver a cryptocurrency miner, a simple PHP backdoor that allows attackers to upload more files to the targeted server, and an IRC bot written in Perl. One of the attacks observed by SANS delivers the XMRig Monero miner. In the same attack, the hackers have also downloaded a script that kills competing miners on the compromised system. Data from Imperva shows that 90% of activity is associated with scanning, 3% with backdoors, and 2% with miners. A vast majority of the attacks seen by the company originated from the United States (53%) and China (45%). Researchers at Volexity have also been monitoring Drupalgeddon2 attacks and they have linked one of the Monero miner campaigns to a cybercrime group that last year exploited a vulnerability in Oracle WebLogic Server (CVE-2017-10271) to infect systems with cryptocurrency malware. Volexity identified some of the wallets that had stored the group’s cryptocurrency and found more than $100,000 in Monero. 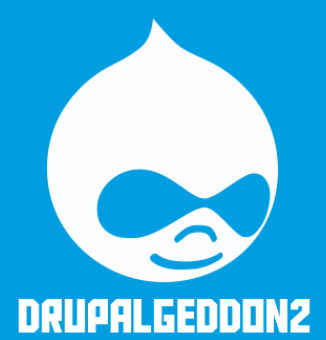 The Drupalgeddon 2 vulnerability can be exploited for remote code execution and it allows malicious actors to take complete control of websites. The flaw affects Drupal 6, 7 and 8, and it was patched with updates released in late March. Experts expected to see exploits almost immediately, but the first attacks were spotted only two weeks later, after a technical analysis and a proof-of-concept (PoC) exploit were made public. “It appeared every one of the black hats was waiting for someone else to do the research and share the exploit. Perhaps most hackers don’t care for the actual work of finding ways to exploit a vulnerability. They just wait until something is public and then use it to attack. Before that, we saw almost no traffic whatsoever!” Imperva said. Now, based on the volume of attempts to exploit CVE-2018-7600, researchers at both Sucuri and SANS warn that users should assume their Drupal websites have been compromised if the patches have not been installed.